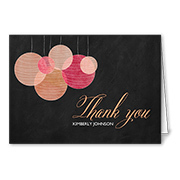 Nothing says gratitude like personalized thank you cards. 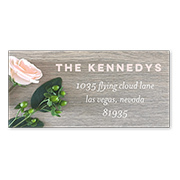 A selection of address labels well-suited to dress your envelopes in style. Write messages, draw attention. Our collection of notepads will give your notes a lasting impression. Sealed with a smile. These stickers are a great way to add a personalized touch to your greetings or to label your children's belongings. There is something to be said about receiving a letter in the mailbox. In today’s busy life, it is easy to lose touch with the ones we love, and emails can often get lost or left unread. 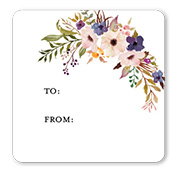 Instead of generic, run-of-the-mill card sets from your local box store, have you considered creating personalized stationery? You can turn your favorite artwork, photographs, and designs into one-of-a-kind stationery. With everything going on, keeping in touch might be difficult but Shutterfly is here to help. Shutterfly makes it easier than ever to take your best pictures, images and designs and turn them into beautifully printed, custom stationery sets. Choose from one of the hundreds of templates, upload your artwork and use the design assistant to select your favorite design elements including font, colors and messaging. Customized stationery sets are perfect for everyday correspondence, party invitations and even one-of-a-kind birthday, holiday and anniversary greetings. You can complete your card and envelope sets with personalized mailing address labels that will perfectly match your stationery. 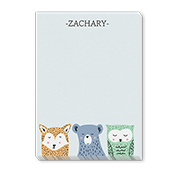 Now you can keep in touch in style with custom stationery from Shutterfly. You can easily customize your stationery to match your personality and style, whether it's more classic, modern or even whimsical. Looking for that perfect present for Grandma on Mother’s Day, or a birthday gift for a friend who lives a thousand miles away? A custom stationery set is a great way to not only encourage correspondence but show those you love how much you care. Custom notebooks also make thoughtful gifts for the pen and pencil lovers in your life. Whether you want to go all-out with your stationery or add a touch of personality to all of your mailed pieces, personalized stamps are an elegant touch to any stationery set. Sending letters shouldn't be a chore, which is why Shutterfly has you covered when it comes to corresponding in a unique way. We make it easy to turn your favorite captured moments into beautiful cards and envelope sets.